Zee Kannada, creating the best entertainment programmes, has become a household name for quality entertainment. 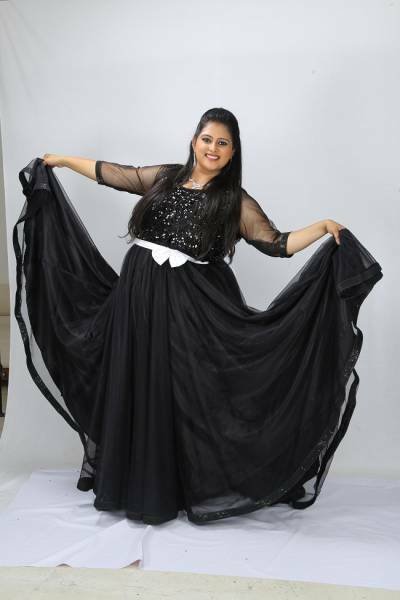 One of the most popular serials on Zee Kannada is Brahmagantu, which narrates the story of Gundamma, an overweight girl who has a helpful nature, and since the beginning, it has been leading the slot. In a surprising twist, Gundamma is going to be a part of Zee Kannada’s dance reality show Dance Karnataka Dance. The Dance Karnataka Dance competition will take part within the show, as a continuation of the story. Vijay Raghavendra and Arjuna will be the judges, and the programme is filmed on the DKD stage itself. The hero of the serial, Lucky, is the reason Gundamma chooses to audition for the competition. Lucky always challenges Gundamma to push her limits, and it has now made her try out a different platform. Adding to this, Gundamma's father always wanted his daughter to achieve success in her life in everything she does. However, after his demise, his aspirations stayed wandered, but Puttatthe ignites this in Gundamma again by saying, “It is not enough if you get love from Lucky, you also deserve respect from him. You have to show him that you can achieve anything.” Inspired by her words, Gundamma enters the Dance Karnataka Dance stage. Gundamma has already proved her mettle by playing kabaddi; she has also proven that her weight will never be a hindrance for her to achieve something. Whether she wins on this journey and is able to receive due respect from Lucky, or if she fails and is humiliated by it, is something we will have to wait and watch. Her dance journey will continue for over a month and a half months on Brahmagantu. Brahmagantu airs from Monday to Friday at 10 pm on Zee Kannada. Shruthi Naidu, who is a popular name in the small screen industry, is directing and producing this serial.